Handmade Tasty Treats Charm Bracelet. Silver Plated Chain Bracelet With 7 Fun & Funky Charms. I will otherwise make you the 20 cm bracelet. 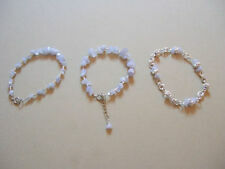 I can use most colours and generally use pearl beads. 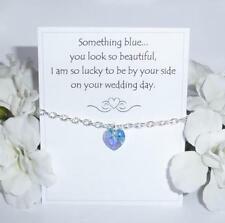 The bracelets are of a high standard with double links to make the charms more sturdy. Dyed pink ruby cabochons with cubic zirconia stones. A beautiful sparkly Indian ethnic bracelet. Sparkly and glitzy perfect for Indian wedding, parties etc. Stunning design, photos do not do it justice, it has a lovely sparkle to it making it a perfect accessory for any Indian occasion or where a bit of glitz is required. Main Stone DRUZY. All jewelry photos are taken by professional photographers. Jewelry Type Bracelet. We are very fair and easy to deal with. Save Big! Product Pictures. A beautiful sparkly Indian ethnic bracelet. 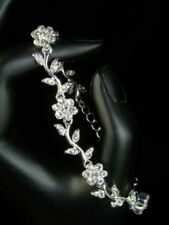 Sparkly and glitzy perfect for Indian wedding, parties etc. Stunning design, photos do not do it justice, it has a lovely sparkle to it making it a perfect accessory for any Indian occasion or where a bit of glitz is required. Main Stone DRUZY. Jewelry Type Bracelet. All jewelry photos are taken by professional photographers. We are very fair and easy to deal with. Save Big! All jewelry photos are taken by professional photographers. Main Stone QUARTZ. Jewelry Type Bracelet. We are very fair and easy to deal with. Save Big! Product Pictures.